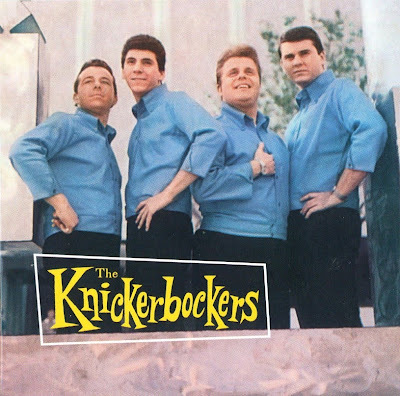 The Knickerbockers was formed in 1964 by Buddy Randell (saxophone), a former member of the Royal Teens and Jimmy Walker (drums/vocals). The line-up was completed by the Charles brothers, John (bass) and Beau (lead guitar). Originally known as the Castle Kings, the group took its name from an avenue in their hometown of Bergenfield, New Jersey, USA. Signed to the Challenge label, owned by singing cowboy Gene Autry, the quartet initially forged its reputation recording cover versions, but in 1965 they scored a US Top 20 hit with "Lies", a ferocious rocker which many listeners assumed was the Beatles in disguise. However, the Knickerbockers were more than mere copyists and later releases, which featured the instrumental muscle of experienced studio hands, established an energetic style which crossed folk rock and the Four Seasons. The group broke up in 1968, unable to rekindle that first flame of success. Randell and Walker both attempted solo careers and for a short time the latter replaced Bill Medley in the Righteous Brothers.